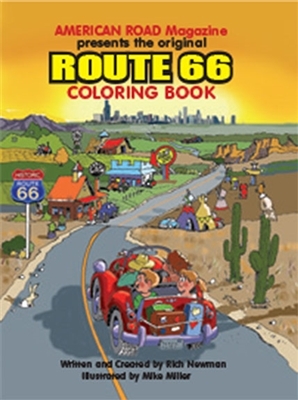 The Original Route 66 Coloring Book is proudly sponsored by American Road magazine. It takes youngsters on a tour of the Mother Road from Barstow to Chicago and lets them color such renowned sites as the Cadillac Ranch and the Blue Whale of Catoosa, Oklahoma. Saddle-stitched. 8 1/4" x 10 7/8". 44pp.